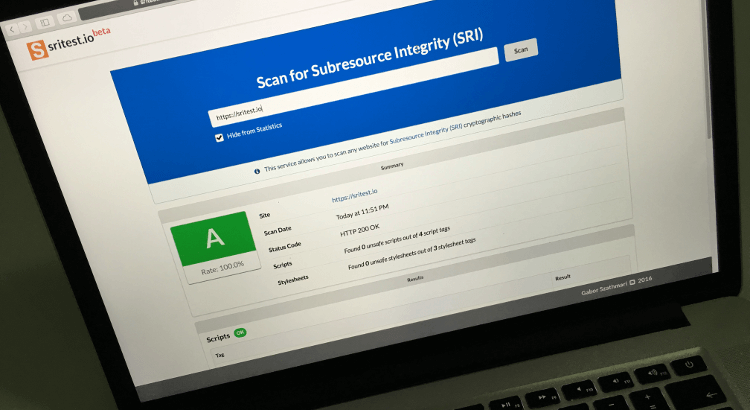 Scoring on SRI reports has been revamped to make them easier to understand. If a web page includes a 1 unsafe asset out of 2, the rate of unsafe assets is 50%. Similarly, if another page consists of 50 unsafe assets out 100 assets, the rate is also 50%. The rate is used to determine the final grade of the assessment. 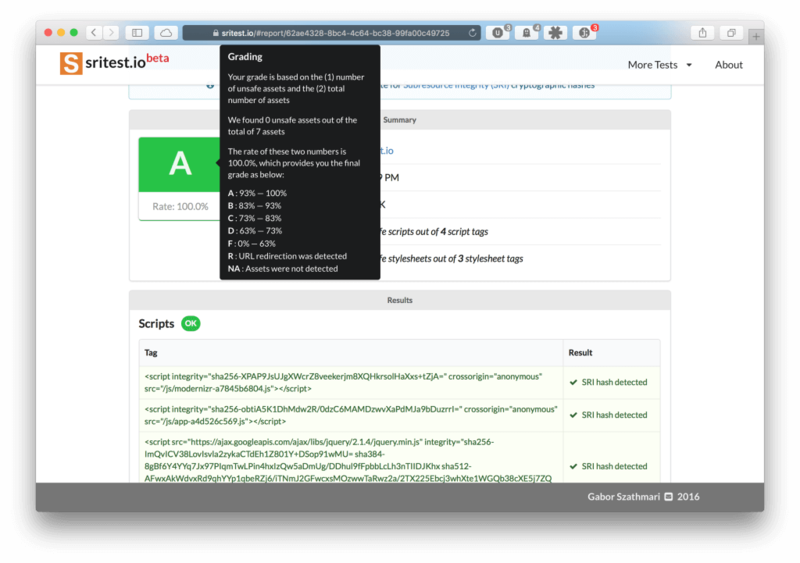 For more details on grading, check out the tooltip by hovering your mouse over the grade on any website report. There is no need to left-click anymore to submit a URL for scanning. The input field already has focus so that the URL can be typed or copy-pasted straightaway. Just press ENTER afterwards and the report should appear in a few seconds. 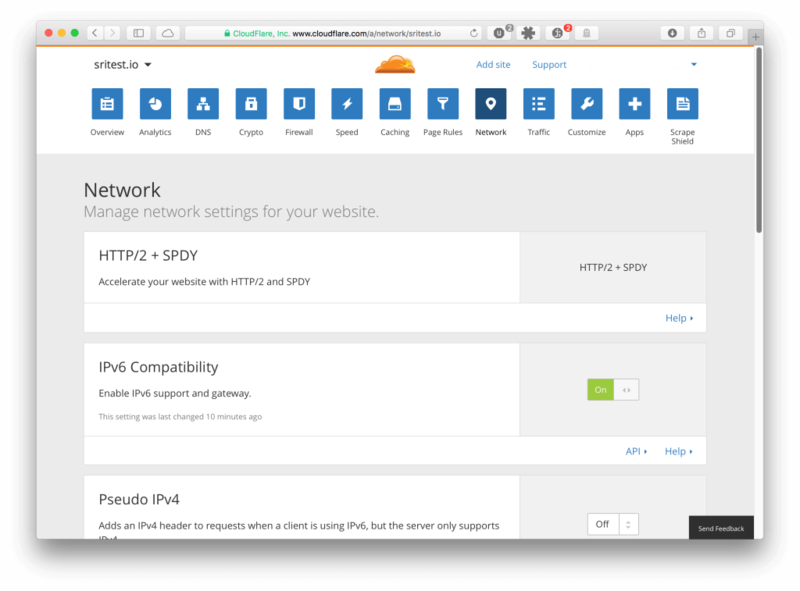 The website on sritest.io is also available over IPv6. Thanks to CloudFlare, turning on this feature was a breeze.